That "on crack" bit isn't me being rude. That's what the guy who made these figures said — that they look like they're on crack. 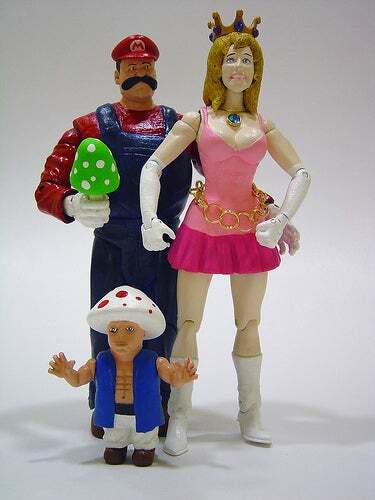 Mario and Peach were made from ECW action figures while Toad was made from a Mini-Me action figure. Figure maker kodykoala acknowledges that they look weird, but says this is how the character might look if they were real. Real and on drugs. With implants. And a scary mustache. The horror.